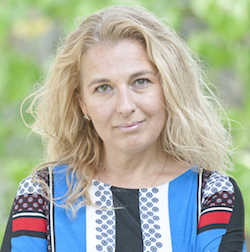 Lyubov Simonova is a principal at Almaz Capital. She’s open to all entrepreneurs with ideas and companies that make technological business advancements in fields such as Internet advertising systems, platforms for e-commerce, new media, financial services, and cloud platforms for marketing and advertising services. She participates regularly as a speaker at major industry events in Russia and CIS.Lyubov joined Almaz Capital Partners as a Principal in November 2010 to head the firm’s Internet practice for Russia/CIS. Prior to joining Almaz she was head of strategy and business development at Finam Investment Company, based in Moscow, and a project manager for eHouse Holding and Manifest, where she focused on developing the system of online advertising and on some of the first online advertising campaigns for the nascent Russian Internet market. Lyubov is recognized as one of the “leading ladies” of the Russian Internet and digital media industry. She was a member of council under the commission on the modernization and innovation development in the Russian State Duma in 2011-2012. In 2012 entered Top 10 power women in Russia.Lyubov graduated from the Lomonosov Moscow Institute of Fine Chemical Technology with a BS in biotechnology and an MS in bioorganic chemistry.